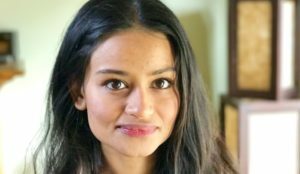 A Calgary school board trustee candidate who made headlines when she reported being the victim of racist threats has been charged under the Local Authorities Election Act following an investigation. Nimra Amjad, 32, has been charged with signing a candidate’s acceptance form that contains a false statement and making a false statement for a purpose related to an election. Police believe she was not eligible to run for office when she unsuccessfully ran last fall as a Ward 3 and 4 school trustee candidate. The seat on the Calgary Board of Education was won by Althea Adams. The anti-corruption unit began investigating Amjad on Oct. 30, 2017, after a member of the public reported Amjad was not a Canadian citizen and therefore not eligible to run. “It is alleged that the candidate filed both a notice of intent to run and a nomination acceptance form, swearing or affirming she had read the eligibility requirements and was legally eligible to run,” according to police. It is a crime for a non-citizen to file either of those documents. Det. Jeff MacQueen said the charges are rare, which is why the investigation took quite a while. “I don’t think that it’s something that happens on a regular basis, but it is concerning,” MacQueen told reporters Tuesday afternoon. Amjad first made headlines when she reported being the victim of racist threats ahead of the election. Two days before the election, CBC News reported the hate crimes unit had dropped its investigation after Amjad became unco-operative [sic] and the man she had accused said not only did he not do it, but he had dated Amjad. An email chain between Amjad and the detective provided to CBC News depicts a frustrated investigator attempting to get a statement out of an uncooperative Amjad. In an interview with CBC News, Amjad changed her story numerous times. She initially denied ever meeting or knowing Shawn Street, but by the end of an hour-long conversation she confirmed she’d met Street online and had gone on several dates with him….